You’re going to age, whether you like it or not. But that doesn’t mean your skin has to show it. With the help of Dr. Maria Trimor-Tamoria in National City, California, you won’t have to live with wrinkles any longer. 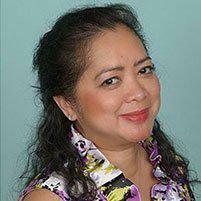 Dr. Trimor-Tamoria uses the Pellevé® system to treat the surface of your skin and smooth away fine lines and wrinkles. You’ll see a noticeable difference after just one session. 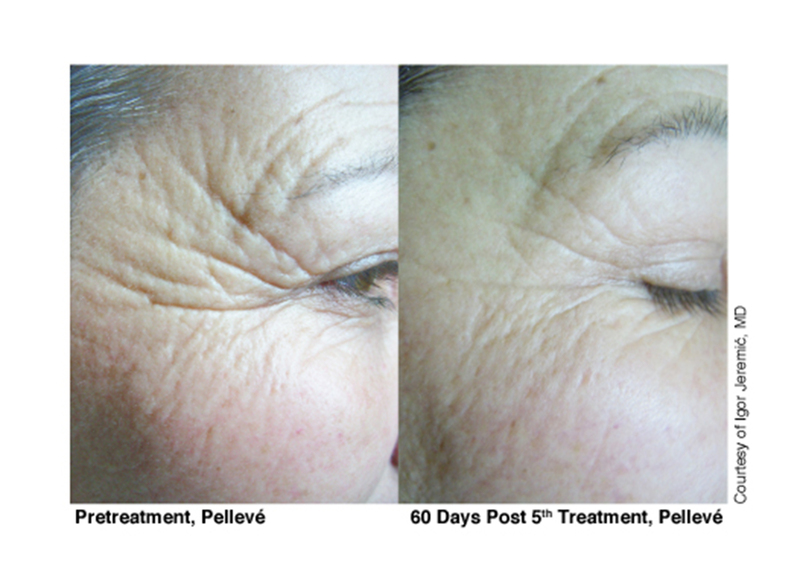 How does Pellevé reduce wrinkles? Your skin is supported by the connective tissues, collagen and elastin. Both help your skin stay soft, supple, and youthful. Sadly as you age, these support structures weaken, leaving you with wrinkles and fine lines. 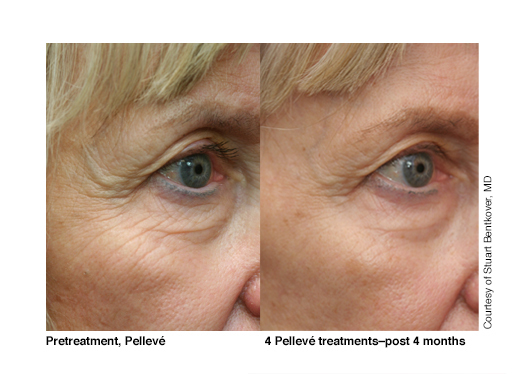 Pellevé laser technology stimulates the production of new collagen and elastin. As new collagen and elastin form, your wrinkles will start to diminish, taking years off your skin. Maybe. It just depends on the depth of your wrinkles and how satisfied you are with your results. Some men and women are happy with just one treatment, others need a few more treatments to get rid of stubborn deep wrinkles. Often, patients come in for routine treatments once or twice a year, just to keep on top of their skin and minimize the appearance of any newly formed wrinkles. Not really. Laser treatments with Pellevé are quick and nearly pain-free. Some patients describe treatments as having a warm facial massage. You might feel a little stinging from the laser in the highly sensitive areas around your eyes, but this can easily be prevented with a bit of topical numbing cream. Even if you have some minor discomfort, it’s nothing compared to the pain and recovery of a facelift. Is wrinkle reduction with Pellevé permanent? Yes and no. It will help your skin produce a whole new structure and repair itself, leaving you with beautifully youthful skin. But because time will continue on, you can get wrinkles back — or form new ones — as a natural part of aging. After your Pelleve treatment, protect your skin by using a high SPF sunscreen, use moisturizer, and continue exfoliating your skin regularly. By taking care of your skin your results will last for a long time.